We provide comprehensive and professional packing, piano removal and relocation services. 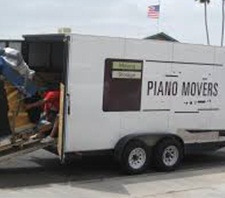 We endeavor to make sure that you will find efficient, safe and affordable services.Our certified and insured piano movers not only provide reliable piano packing and moving, but they also specialize in piano relocation. So, London based piano movers can efficiently pack, move, deliver and relocate your valuable pianos and its organs with great care. We have all the latest tools and equipments to protect your piano.